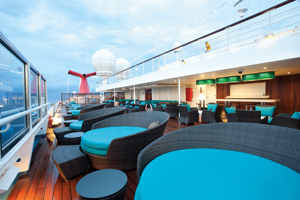 When you need a break from the action on the lido deck, head to this adult-only lounge, where you can spend the day sunning in a comfy deck chair or soaking in the hot tub. Because it’s at the farthest point aft, you won't stumble upon it unless you seek it out. You can take the stairs down from the lido deck, but in order to get to it from the promenade deck, you have to walk through the lounge, making this spot even more discrete. 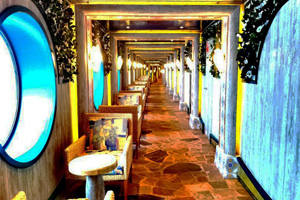 Located in the bow on Deck 3, the Terrazza Giardino is actually a hallway that wraps around the Caruso Theater. There's plenty of seating, but it isn’t commonly frequented except before shows. And although Terrazza Giardino translates to “garden terrace,” the flowers along the walls are really the only gardenlike aspect of this completely indoor space. The best part about the area is the giant portholes — you’ll want to grab a chair in front of one and take in the views with a good book. Costa Mediterranea has a similar spot, called Terrazza d'Inverno, with large windows and couches. This intimate outdoor bar area is just past the Lawn Club. And while lots of people sun here during the day, after dinner it tends to be forgotten. Comfy chairs and unobstructed views make it a gorgeous place to kick your feet up and enjoy a cocktail, especially if you’re not loving the band or DJ echoing from the main atrium. Unless you’re the type to explore every deck of the ship, you could go your whole cruise and not know about this hot tub, located on Deck 6 forward. Stretch out with a good book or sip a glass of chilled Champagne in a lounge chair. 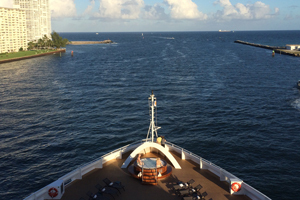 We recommend going at sunset or when the ship is pulling out of port. Got an adventurous spirit? 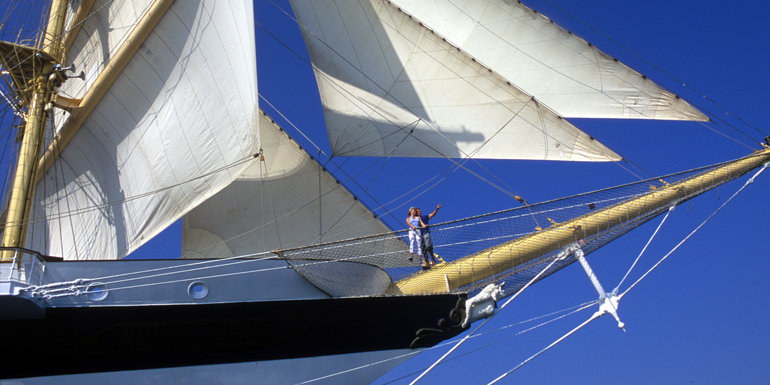 The bowsprit net hangs about 30 feet above the ocean, extending out from the front of the ship. It actually functions as a safety net for the crew, but passengers can crawl out and use it as a hammock. 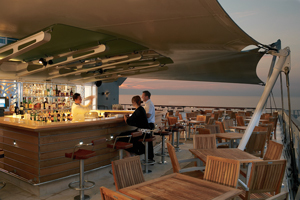 Where is your favorite place to have some quiet time onboard? Hey! What about Norwegian's Spice H2O on the Getaway, Breakaway, Epic and (soon) the Escape? Adults only during the day. And the Vibe Beach Club on the same ships? (Adults only all the time; limited spaces; available buy buying day or week passes). We love a quiet adults-only area as much as you do BeachRum. We happened to keep this round-up to free onboard locales, but those are both nice options for the extra cash.